Although many employees are wary of requesting more paid time off, it’s a reasonable request for any hard-working person who has been in their position for a decent period of time. Several studies show that vacations are great for your physical and mental health, finding that both men and women who took annual vacations were at lower risk for coronary heart disease compared to those who did not. Ideally, one would bring up the topic of vacation time during an annual or quarterly review. 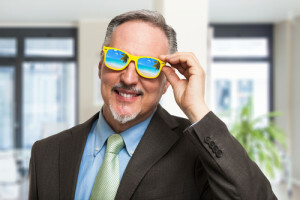 Since these meetings often deal with possible raises, this is a great opportunity to incorporate your salary into a discussion regarding appropriate vacation time. Asking for more vacation time is very similar to asking for a higher salary, but if you’re already being offered a raise, it could be the perfect opportunity to get more vacation time. As a bonus, vacation days aren’t taxed, so it could be even better than a raise. If you decide to ask for more PTO, make sure to do so appropriately. First, calculate your typical yearly raise based on your personal job history. For example, if it’s around 4% and you’re making $75,000 per year ($1500/week), the equivalency of your two-week vacation is $3,000. If your proposed raise is in the $1,500-3,000 range, it will come across as entirely reasonable to request an extra week or two of vacation, since that timeframe aligns with your company’s recent valuation of your efforts (a 4% raise). Contrary to what some think, raises aren’t to be expected — they are to be earned. Many employers need proof — either statistical or first-hand — that you are going above and beyond as an employee. If your employer isn’t aware of this themselves, it’s a good idea to compose a T Chart — with one side listing the job description tasks and the other side listing what you have done to excel in the area. For example, if in the original job listing for an Account Manager it reads “increase number of accounts and maximize profits”, the other side of the T Chart could list hard data like “grew company accounts by 20%.” Objective numbers like these are always a great tool to use when asking for more paid time off or vacation time. Depending on your position, there may be research data online that shows the average amount of vacation time for others in your field. Since many bosses will take randomly sourced internet research with a grain of salt, make sure that the data is verified by a reputable site or agency. Remember that a boss is unlikely to care about what your friend or co-worker makes in comparison, but if you show that you are getting less vacation time than the average worker in your field, they will likely feel the initiative to provide at least the average amount of time. If your boss denies your request for more paid time off, it’s prudent to listen to their explanations and reflect on them as opposed to getting over-emotional or insecure. If possible, negotiate with your boss to see if any trade can be made — such as foregoing a portion of your raise in exchange for more unpaid vacation time. You could also offer to telecommute and work part-time while on vacation, which can be useful for those in a client-based role. Not only does this tactic improve your personal branding by showing your shrewdness in willing to negotiate, but it shows your flexibility as an employee — something that most bosses look positively upon. Also in the scenario of your boss denying your request, it’s important to ask when the next time is that you can request more paid time off. This will provide a clear picture and timeframe for you to excel and note your accomplishments in the coming months, which will make asking for more paid vacation time easier and more likely to succeed. Whether you made business profits increase by finding a more cost-effective vendor service or helping lead a particularly successful team project, it’s important to showcase a variety of ways you helped the company succeed. Every business has unique policies regarding vacation time that anyone requesting paid time off should review. Going over these policies will show your employer that you’re fully committed to the organization’s ideals, in addition to being sincere and truly passionate about the request. Certain areas, like how vacation days are accrued if sick days are exceeded or approved leave excuses, vary from business to business and can be a fixed policy. For instance, many employees accrue a certain amount of hours with each paycheck. If this is the case, the company would have to make changes with the billing system, which could be difficult if not impossible. Knowledge of this can only be beneficial when bringing it up with the boss. With an aptly timed request, an objective demonstration of employee value and commitment to business and personal branding, any deserving employee can ask for more paid time off and expect a reasonable response from their employer. Just remember to be flexible and persistent in case your paid time off increase isn’t granted right when you’d like.